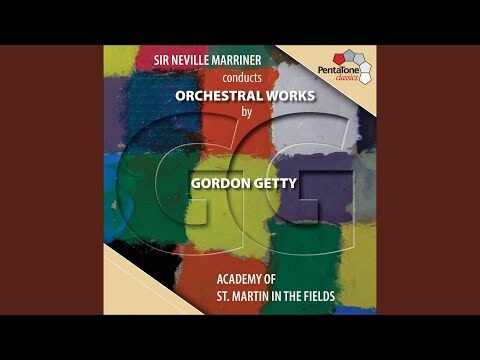 Gordon Getty…composes facile but propulsive music, to which this CD makes a good introduction. In the space of 12 minutes, the delectable overture to his opera Plump Jack, based on Shakespeare’s immortal Falstaff, creates a juicy musical characterization of the Bard’s unforgettable fat man. The discs’ other works, which include the Ancestor Suite and the Homework Suite, have the same attractive qualities as the overture, and they are all played robustly by the Academy of St. Martin in the Fields under Sir Neville Marriner.